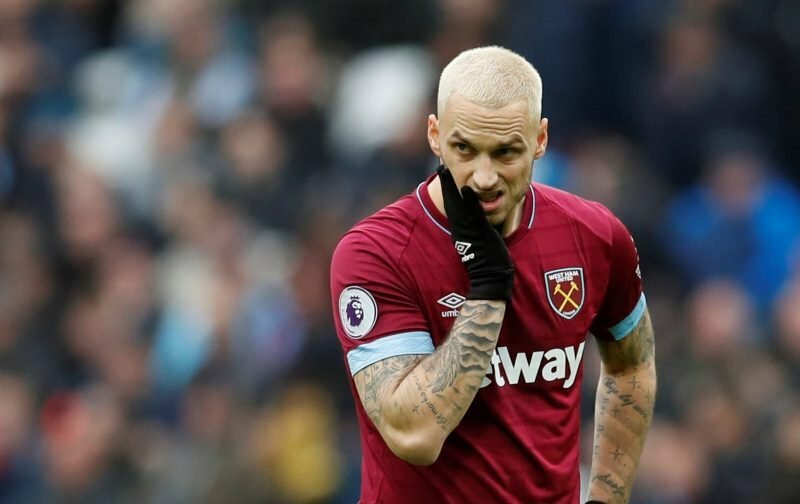 Before the New Year, Marko Arnautovic was considered a fan favourite, but the antics of January soured the relationship between the Austrian and the fanbase. The love we once shared for the 77-cap international has now deteriorated so much that portions of the London Stadium audibly booed when Manuel Pellegrini hauled the 29-year-old off against Huddersfield when we needed a goal to turn the game around. Not all of the supporters in attendance were booing our striker, though, with some booing the boss’ decision to axe a key player while we were behind. Arnautovic, however, took it personally, as per ExWHUemployee via West Ham News, and was shocked at what he was hearing as he trudged off to the touchline. It might not be down to that, but Ex also believes that we are now prepared to cash in on the 6 foot 2 centre-forward, even if we receive a lower amount in the summer than we could have banked when Chinese Super League outfits were sniffing around his signature in the winter. 35mill he can go. Bring in Mitro. If Arnie does apologies and turns it around then we can keep him! But imo a hungry mitro who scores in poor teams will be brilliant for us! What he wanna do is prove us wrong like the Owners did this summer ! An do what is in his blood play for West Ham an score goals an get paid ⚒???? We’ll be luck to get £20m now. Should have let him go in January. As we’ve survived without him since then. Is he genuinely that unaware of himself that he is actually shocked?